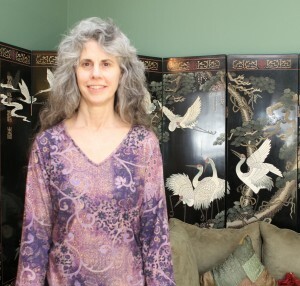 Lisa Galbraith Heyl is a certified teacher of the Alexander Technique and a teaching member of the American Society of the Alexander Technique (AmSAT); and has been teaching for over 26 years. She teaches private and group classes and workshops. The Alexander Technique is kinesthetic re-education that helps an individual become aware of their unconscious psychophysical (mind/body) habits that may be creating unnecessary tension, stress, and possible injuries. Once a student becomes conscious of their habits, and stops interfering with their kinesthetic integrity, they can learn to use their innate integrity to sit, walk, and perform with a new ease and quality of movement. One of the unique aspects of this technique is its process of re-educating mind and body simultaneously. F. M. (Frederick Matthias) Alexander (1869-1955) was a Shakespearean actor who frequently lost his voice while performing. Doctors could not find anything organically wrong with him and suggested he rest his voice between performances. He did, but continued to lose his voice. He then set up a mirror to observe what he was doing while performing and discovered he was tightening muscles in his neck which created tension on his vocal mechanism. Even though he was able to see what he was doing he wasn’t able at first to stop his habit and the unnecessary tension while speaking and performing. He then began to explore the relationship between his mind and body, learning how thinking and movement can either be an integrated movement or two separate movements, caused by splitting mind and body. Over time, he learned to re-educate his mind and body and achieve a greater quality of performance, and developed a technique he was then able to teach others. Photograph of Lisa Galbraith Heyl by Kristy Walker.